We are committed to excellence, servicing our customers in the demanding, fast paced, waste Industry! We are considered the benchmark of the Waste Industry and Equipment Handling Industry due to our dedication and focus, along with helping our customers to achieve their business objectives. Our philosophy is to treat our customers as top priority and focus on their needs. We strive to service equipment quickly and accurately, eliminating costly downtime. Established in 1975, with strong industry experience, taking pride in our trained and certified technical staff which enables us to service, maintain and upgrade your existing fleet. A/J's facility is located on the South Shore in Massachusetts. Access to our "ONE STOP" service facility is not territorial restricted. We have the ability to be an integral part of your operations through services we provide in New England and nationwide. 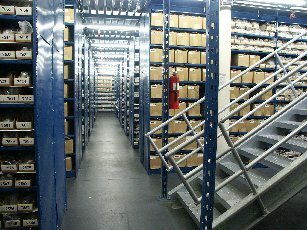 We maintain over 1,500 items in our warehouse, giving you the ability of A/J servicing your vehicles or if you wish, we can ship your needed items to you immediately. 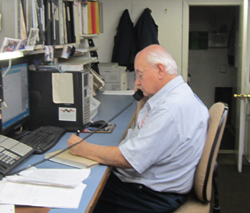 One call to our toll-free number, 800-354-5623, will put you in touch with our service, sales and parts department along with our office staff. Whether inquiring about our services or the items you are looking for, to receiving a price quote, obtaining turn around times, or placing your order, it only takes minutes! Andy created A/J Equipment with his wife Judy back in 1975 and have grown the company with the help of there dedicated work staff to be one of the highest performing waste sales and repair facilities in the New England market.